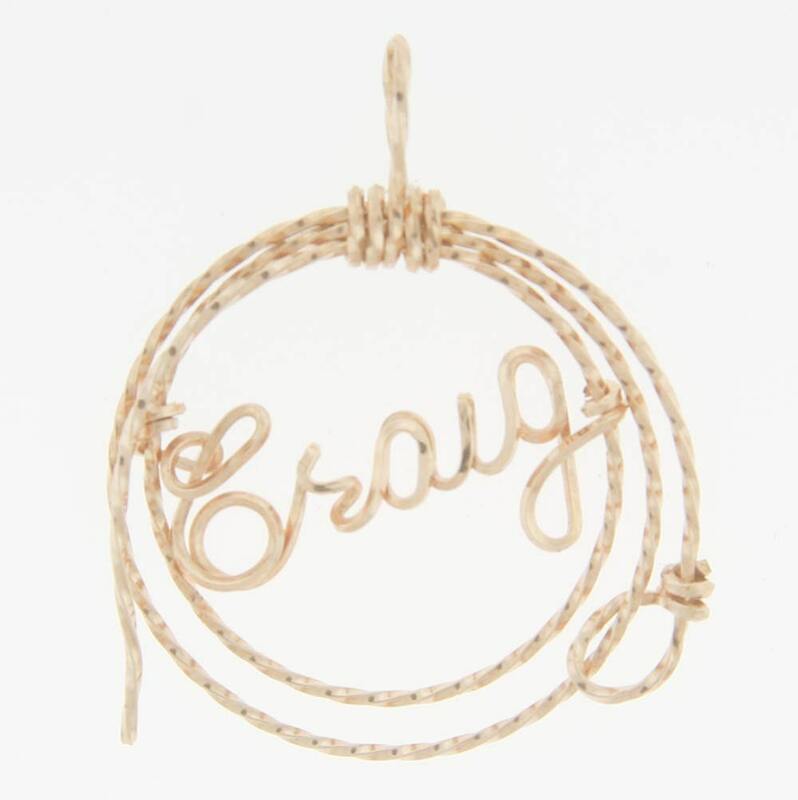 This listing is for your name or a favorite word surrounded by a lariat. It can be created in gold, silver, rose gold and combinations of gold and silver. The necklace comes with a sterling silver or 14 karat gold filled chain. Be sure and include the spelling in the "Notes to seller" section of your order. You're proud of who you are and who you will become. 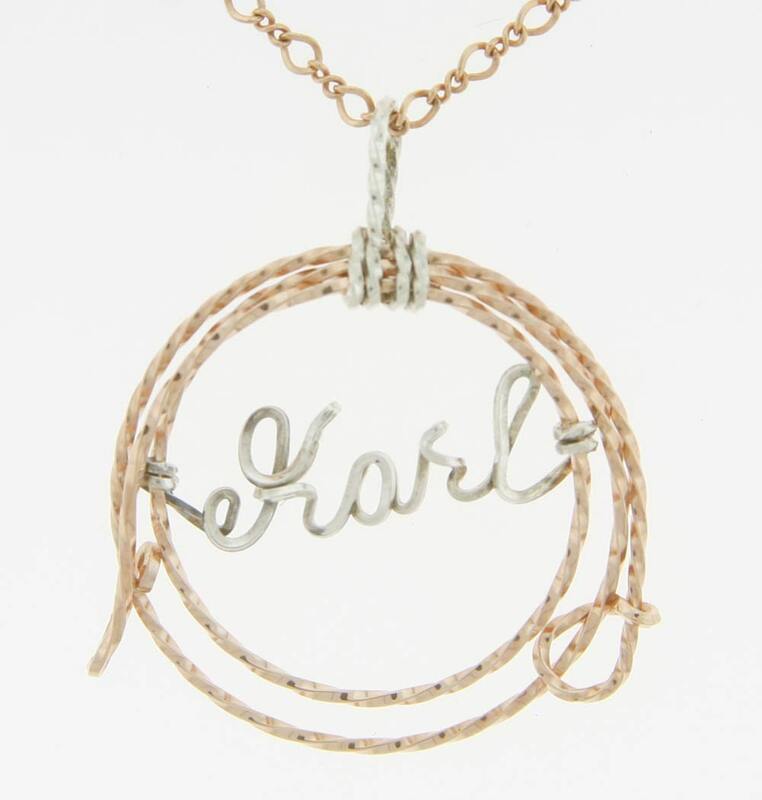 Why not show off your unique style in a custom name necklace? We can create almost any item of jewelry: Lapel Pins, Hat Pins, Pendants, Necklaces, Bracelets, Earrings, you name it. All starting with your impressive original idea. 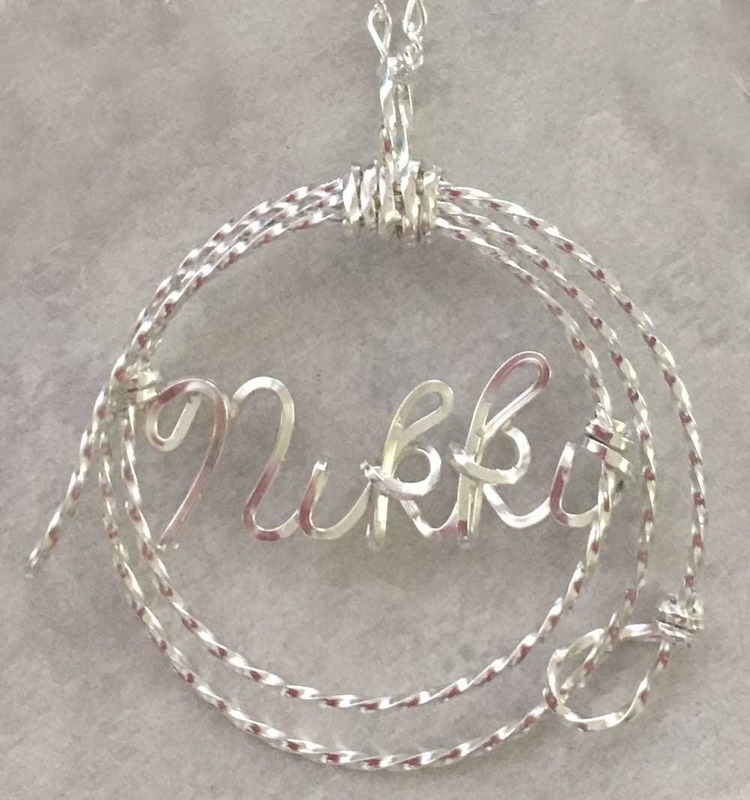 All or our jewelry is custom-made from a tube of Solid Sterling Silver Wire or 12 Karat Gold Wire. We create this unique one of a kind piece just for you. 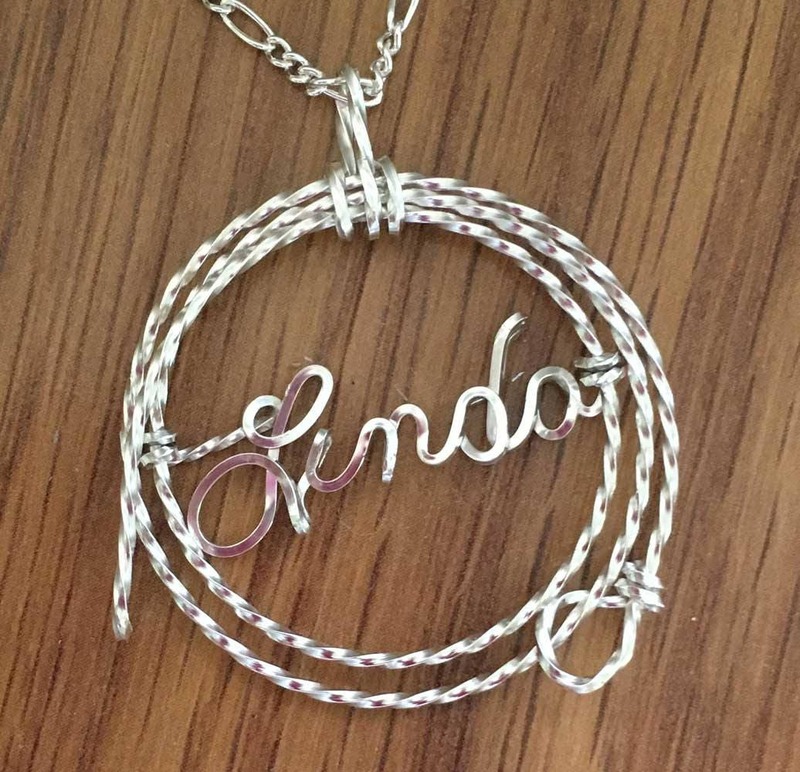 Nothing says I love you like a custom made personalized gift!! Great for Valentine's Day, birthday, Sweetest Day, Anniversary, Christmas, Mother's Day, anytime! !